than we think they do. Second, he challenges the notions of the many pop psychologists who suggest that gender difference is the cause of the dramatic observable inequality between the sexes. Instead, Kimmel reveals that the reverse is true: gender inequality is the cause of the differences between women and men. Third, he argues that gender is not simply an aspect of individual identity but is also an institutional phenomenon, embedded in the organizations and institutions in which we interact daily. Kimmel concludes with a brief epilogue looking ahead to gender relations in the new century. The second edition includes a new chapter, "The Gendered Body," and a sharper critique of biological differences. 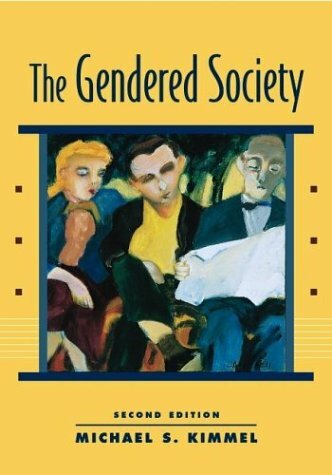 The Gendered Society, 2/e, is a well-reasoned, authoritative, and keenly animated statement about contemporary gender relations, written by one of the country's foremost thinkers on the subject. It is an essential text for both scholars and students alike. Kimmel's companion book, The Gendered Society Reader, 2/e, (OUP, 2003), provides a perfect complement for classroom use.